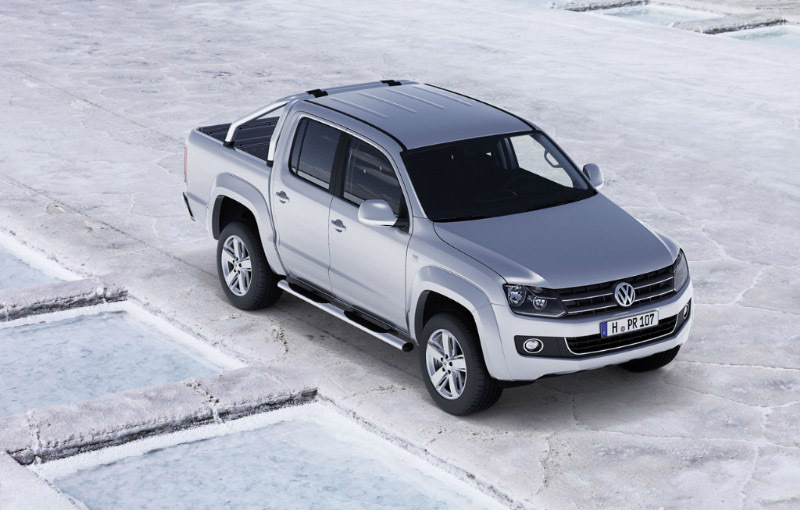 Volkswagen officially introduced Amarok, a utility car dedicated to those who love both the German mark, and body type pick-up releases. 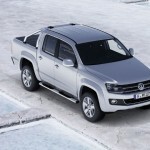 Volkswagen has published today the first official photos of the new Amarok, the pick-up which will be released soon on global markets to beat with rivals such as Nissan Navara, Mitsubishi L200, Mazda BT-50 or Toyota Hilux. 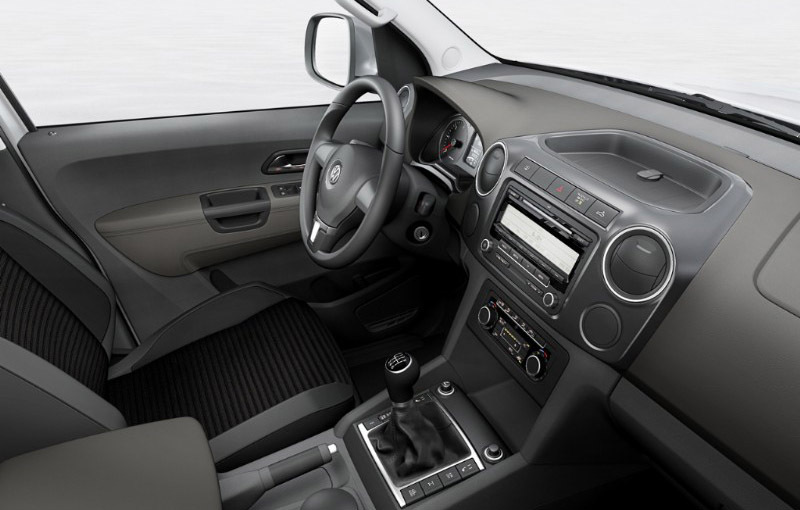 The new Volkswagen Amarok is for anyone who need a large load surface at an affordable price. 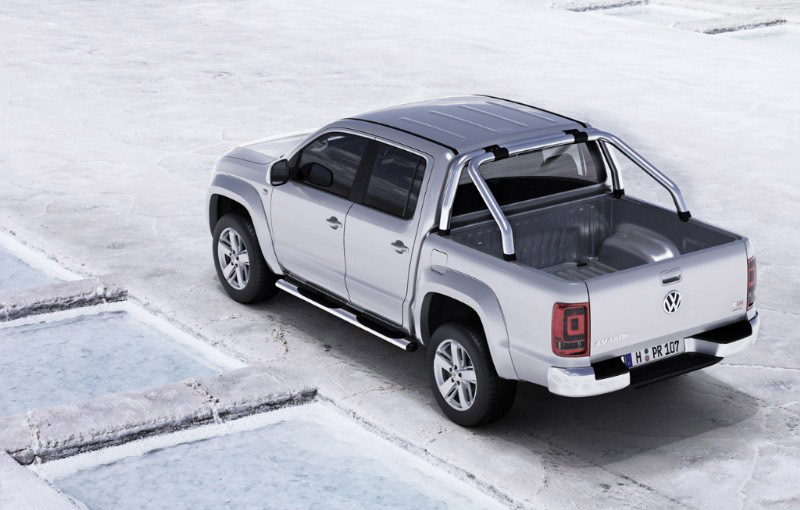 With a useful area of 2.52 square meters and a length of 1.55 meters of bucket, the pick-up of the German manufacturer can be used in multiple ways , maximum task that can be transported by Amarok mustn’t pass the 1150 kg limit. 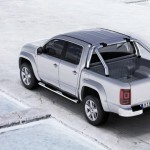 In the first phase, Amarok will be available only in Double Cab version, presented in the official photos of the manufacturer. Then, in spring 2011, Single Cab lovers will have this type of bodywork. 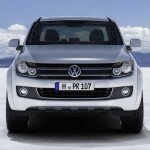 Under the hood, the new Amarok has two 2.0 liter TDI units that develop 122 horsepower and 163. 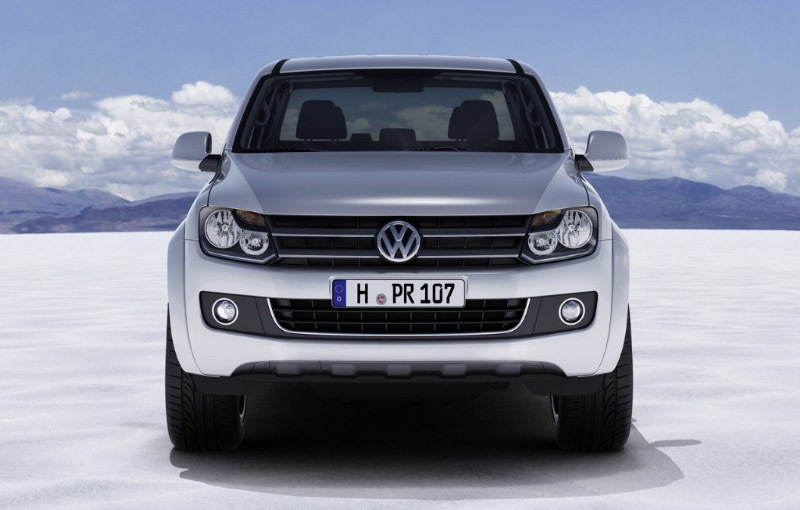 Amarok can be ordered both in version 2×4, 4×4 variant manual or permanently coupled.